This blog is more than the story of the Basilica, it is about the beauty of a small town and the outlying areas that makes me say “I will remember this day when I am 80 and can no longer do the things I do now”, I visited the waterfall La Cascada de los Milagros, which when translated means The Waterfall of the Miracles. The story of Buga started from this waterfall and the river it feeds. Here is the story: In a small indigenous community there lived an elderly woman whose daily task was to carry the villagers’ clothing to the nearby river, wherein she would wash it. The humble old lady had little money and few personal belongings, though she had saved about seventy Spanish Real, enough to buy herself a small crucifix in the village’s religious goods market. One day, she had finished her work washing clothes in the river and was preparing to go to market to buy the crucifix when a man walked past with his head downcast and with tears in his eyes. The man was on his way to prison because he owed seventy Real in taxes that he was too poor to pay. The man’s plight was well-known in the village; he often lacked the means necessary to support his wife and his young children. The old woman was moved with pity for the poor debtor, so to keep him out of prison she gave him her entire savings with which she had intended to purchase the crucifix. The man was overwhelmed with gratitude toward the woman, and he blessed her for her selfless gift that had saved him from going to jail. Some days later, the woman was, as usual, at the river washing the villagers’ clothes. As she laboured, unnoticed by anyone with her hands below the surface of the water, the current pushed a small wooden object against the cloth that was in her submerged hand. The woman was unsure of what had touched her hand, since her sight was failing due to age, and the piece of clothing she was holding was thick. Hoping to look more closely at the wooden object that had become wrapped in cloth, she lifted it out of the water and, bringing it almost to the tip of her nose, she unwrapped it. 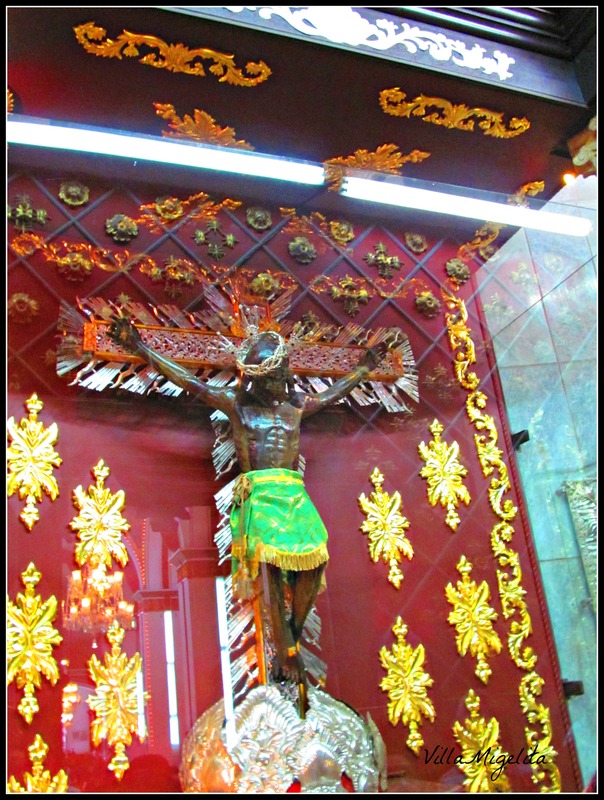 Within the bands of cloth, there was a crucifix that was an exact replica of the one in the marketplace. It fit perfectly into the old woman’s palm. Since she had been working in the river above the village, the woman knew that the crucifix could not have belonged to any of the villagers; it had miraculously appeared in the river. The old woman carried the crucifix back to her home and with great joy she built a small altar upon which to rest it. Then, exhausted from her day’s work, she fell asleep. She was abruptly awakened from her slumber after a short time by a low knocking noise coming from the wooden altar she had constructed. The woman found that the crucifix on the altar, once small enough to fit the palm of her hand, had grown. Thinking that her vision had deteriorated so much over time, the aged woman took the crucifix to the priests and to the village’s elders. They agreed that the image of the crucified Lord had indeed grown; it was no illusion. Over the years up to and beyond the old woman’s passing, the crucifix continued to grow until it reached a height of almost two metres and a width of nearly one-and-a half metres. Pilgrims came from near and far to pray before the life-sized image of Christ on the Cross. So many came that the crucifix became damaged, and the governor ordered it to be burned twenty-seven years after its first appearance in the river. The fire was lit, but once the crucifix was placed amid the flames it was not consumed. Instead, the image of Jesus’ body began to sweat abundantly. It continued to sweat for two days thereafter, drawing even greater crowds of people, many of whom were sick but went forth completely cured. I have loved this city since the first time I visited in 2011 when I moved to Colombia. Not only is the church beautiful but the town is refreshing and full of history, great shopping, lovely streets and great restaurants. I had no idea about the river and the waterfall that is part of the story of Buga until recently when I was contacted by the owner of the Holy Water Cafe and Buga Hostel. His name is Stefan Schnur and he is from Germany, but is living in Buga now. 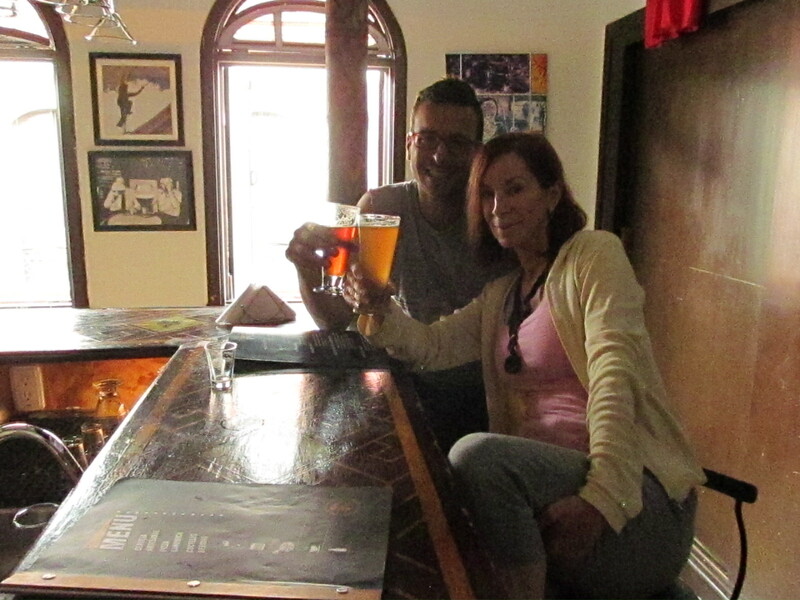 He has a distillery where he makes the best beer you can get in my area of Colombia and most likely all of Colombia! I was recently featured in a story about ex pats living abroad by Yahoo Finance and this article has brought more friends to me. I am forever grateful for the feature in this article, not only for the publicity but for the meeting of others living in Colombia from other countries. When Stefan contacted me, I looked on his page and saw that there were many adventures not to far from Villa Migelita. I immediately made plans to visit Buga again with a different perspective. 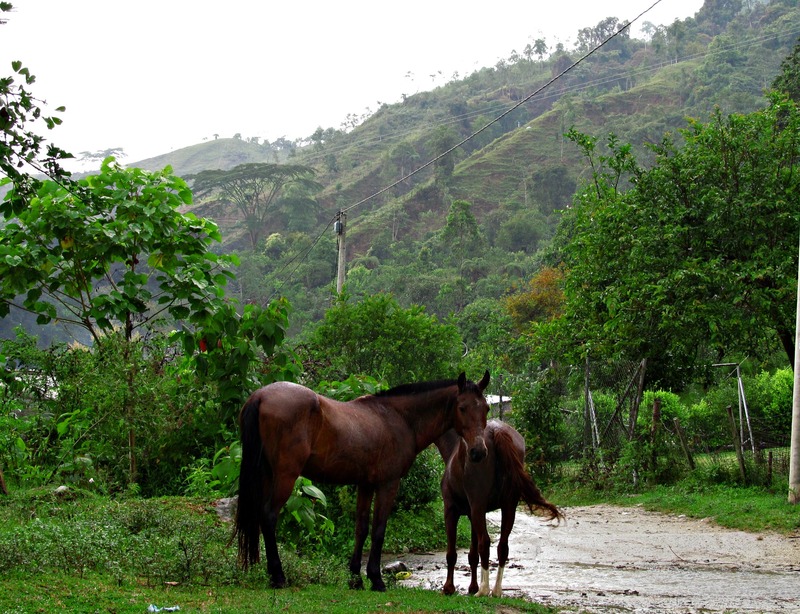 I wanted to see the mountains that surrounded Buga, as all Colombia towns are surrounded by the beauty of mountains and nature! What a wonderful adventure I had. We met at Stefan’s personal home and Pipo our guide was waiting for us. 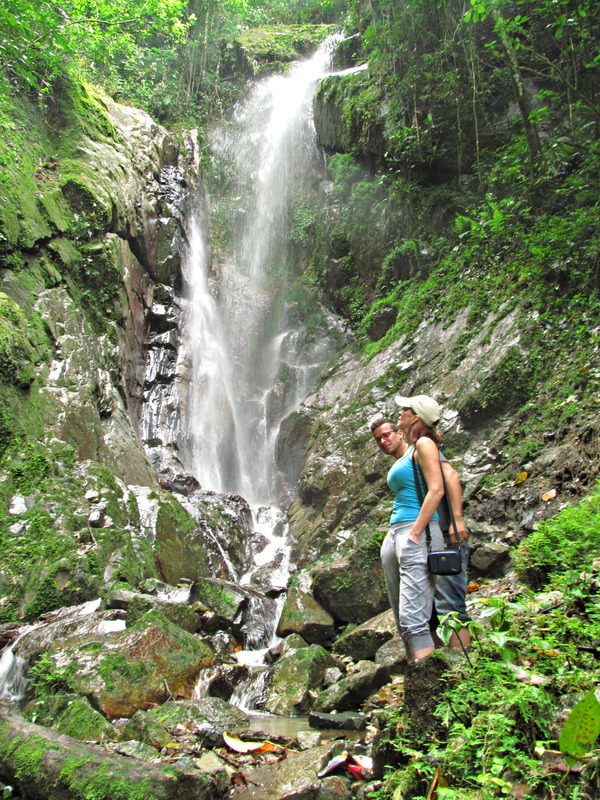 We talked for a while with Pipo and Stefan, and then we took my truck and drove to the start of the hike up to the La Cascada de los Milagros (The waterfall of the miracles). The journey through the small towns on the way to the hike is enchanting, the countryside incredibly beautiful with lovely pastures framed by the mountains. When we arrived to the starting place we were greeted by beautiful horses and friendly people enjoying their day. . Then off we went on a hike that is not extremely difficult and crosses a magnificent bridge that suggests thoughts of how many have walked this bridge over the hundreds of years it has been there. 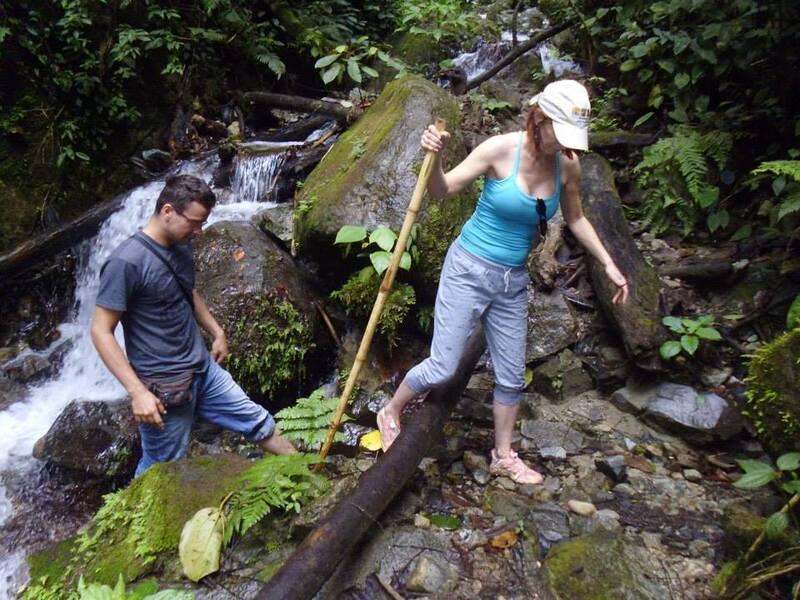 As we continued up the path, I watched the river below thinking of the miracle that came from it and how blessed I felt to walk this journey to the La Cascada de los Milagros (the waterfall of miracles). 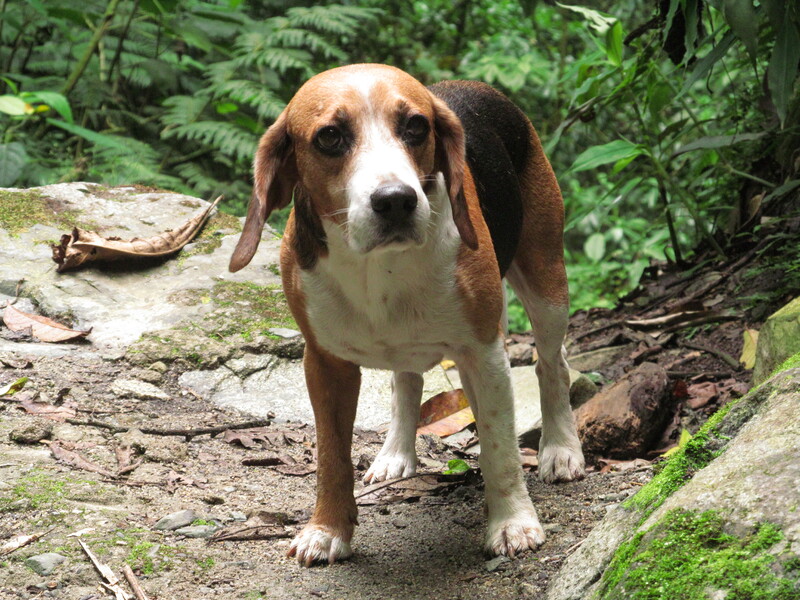 We had a small guide too, a sweet little Beagle, Pipo told us that a different dog always accompanies his guests on the tour. How charming! When we arrived to the fall I was overwhelmed with emotion as I have never seen a waterfall that was so transcendent and forceful at the same time. I could feel the mist hitting my body and the spiritual connection with nature is something I will take with me in my heart forever. La Cascada de los Milagros took me to a place all of us search for, but sometimes never find; a place of peace in my soul. The time I spent in front of this towering giant will stay with me for the rest of my lifetime. On our walk back down we got rained on but that was not a problem as we all had a change of clothes, getting wet does happen when you visit the Rain Forest in Colombia. We then stopped at a house where friends of Pipo lived. 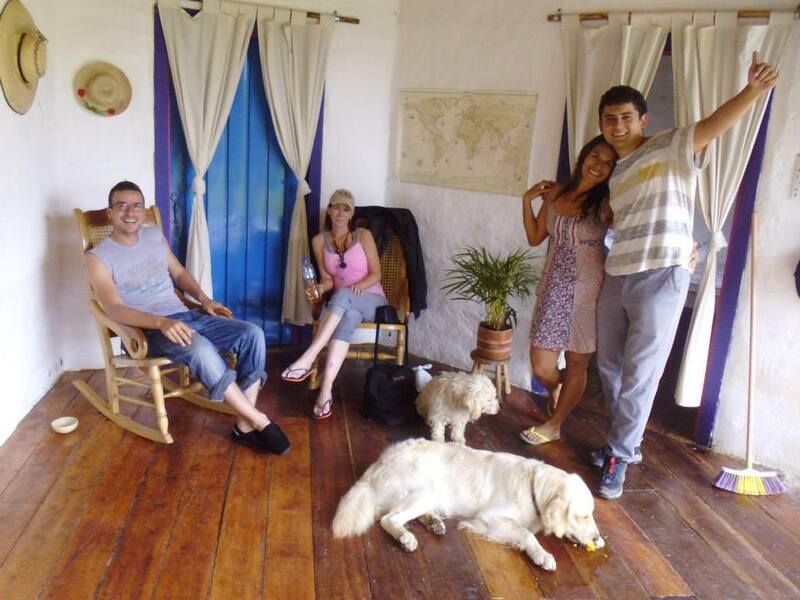 They were delightful and welcomed us into their house with the warmth of the Colombian people. I enjoyed their pets and left with a bag of mangos from their tree. We talked in Spanish and I am always thrilled when I can converse with the locals and they understand me. Their mango eating retriever just completed the ambiance of warmth and new friendships. We left their house and drove around a bit to see more of the lovely villages surrounding the area and I found Alaska. I was really surprised when I saw a sign welcoming us to a pueblo with that name! Another refreshing moment in an already perfect day. When we returned to Buga Pipo brought us to the Buga Hostel and Holy Water Cafe where we had a late lunch. 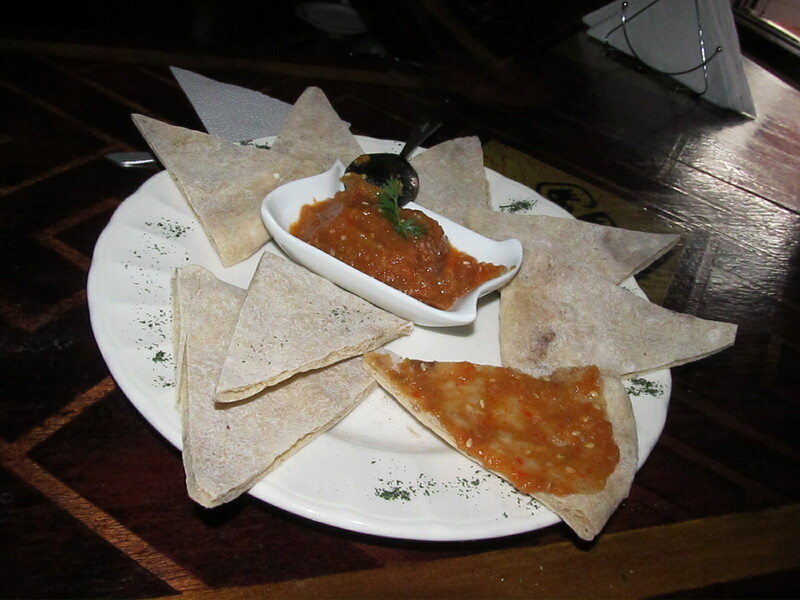 The food and beer was delicious, especially the side dishes that were offered along with a great choice of beer. We enjoyed Baba Ganoush and pizza. The surroundings were lovely, the views overlooking Buga were outstanding. A perfect end to a perfect day! The prices so reasonable, a pleasure that is only found in Colombia. You can have a feast, great beer and enjoy fantastic views and not break your wallet! I now intend on going back soon to explore another tour with Pipo at a farm with private natural pools as soon as I can arrange it. The best part will be stopping again for lunch at The Holy Water Cafe to try a different item from a great menu filled with sumptuous treats! Until then I say cheers to a day filled with memories! To visit me: http://www.villamigelita.com come share in my adventures! Wonderful story! Your words always make me experience it! So spiritual. Thank you for this and all the other stories. You are such a great writer! Excellent. Buga is the best: Basílica, the parks y the waterfall. 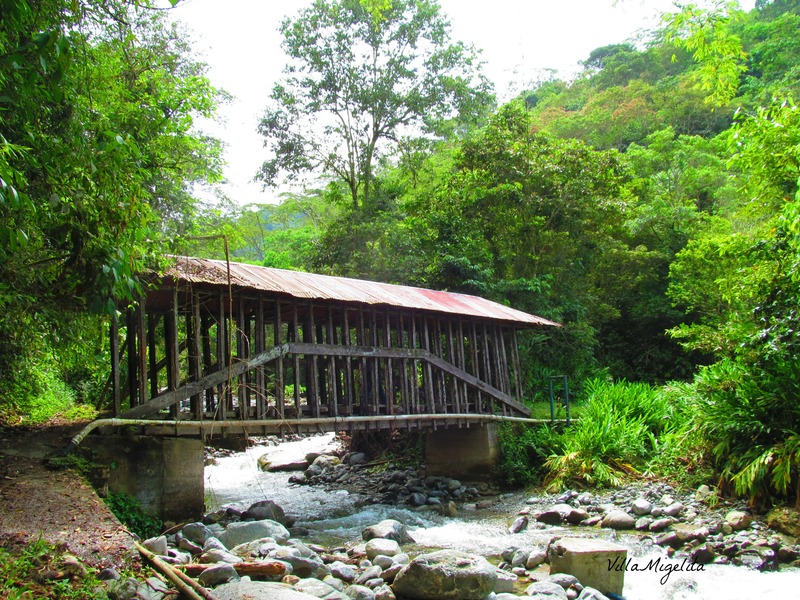 The Buga´s naturale is wonderful. I was very pleased to find this website. I need to to thank you for ones time for this fantastic read! !